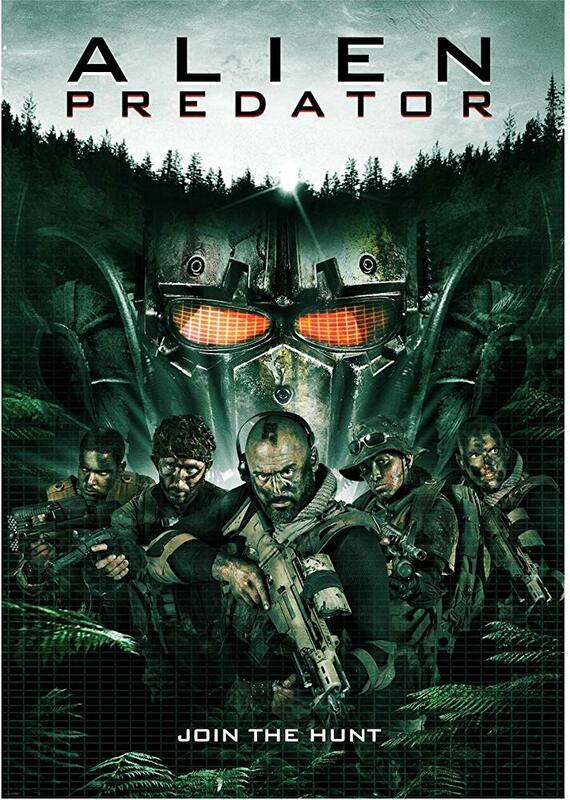 Time to enter 'The Asylum' territory of filmmaking with ALIEN PREDATOR which was released to capitalize on the 2018 big budget movie THE PREDATOR. In this movie a team of soldiers are attacked by an unknown enemy when they go to investigate the crash of an unidentified aircraft. On finding out that the previous team was attacked, the leader of a ragtag group of soldiers head out to find those who survived the attack. They soon are attacked by the unknown attackers and now must do everything they can to survive, even if it means entering the mysterious craft. In some aspects this movie does well to imitate things in the ALIEN or PREDATOR world of films, but it all feels rather like a pilot episode of a long forgotten sci-fi show. It takes nearly an hour before you get to see an actual alien and when you do it resembles a poor excuse for Robocop wearing a welding mask. Though when the mask comes off it does reveal the alien and it is a very well made prosthetic. The soldiers have got their own little quirks to make them standout but despite being well trained they do make some seriously stupid mistakes...repeatedly. Most notably when they handle alien tech it kills them, yet each soldier decides to have a go at handling it because you know it might not kill them! It is obviously a lower budget film but the jungle scenes do add some expensive looking location shots. 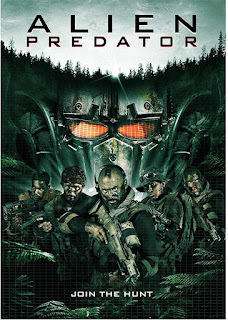 It is probably one of the better PREDATOR rip-offs out there.